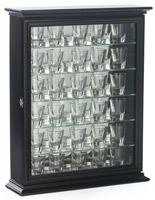 Common Size (w x h x d): 22" x 28" x 4.5"
16.5" x 21" x 4.5"
22" x 28" x 4.5"
These display cases are specially made to hold up to 72 shot glasses. 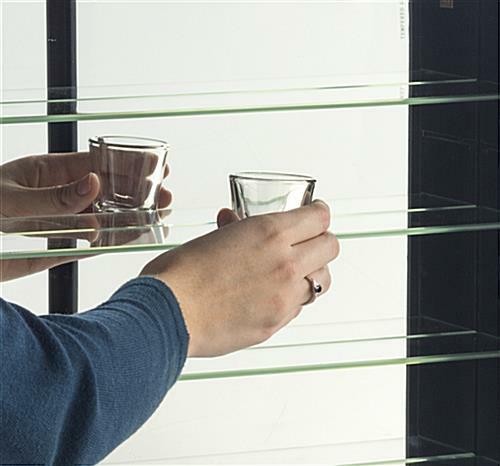 The 7-tiered cabinet can hold 9 glasses per shelf. 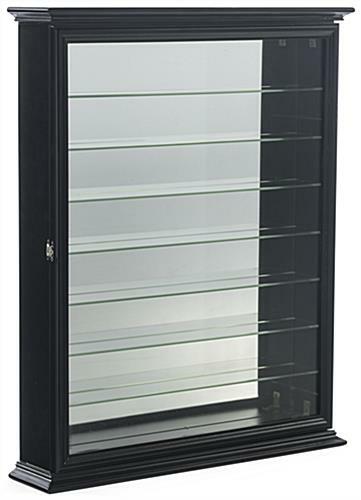 The black cases can be placed on the wall with the included mounting hardware or on a counter or bar top. 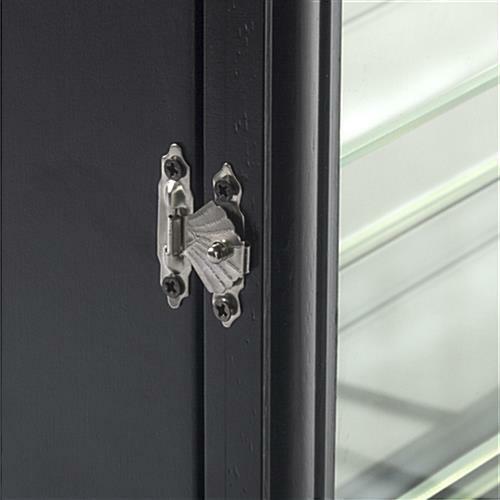 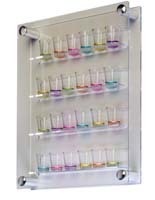 Each can hold both single or double shooters without wasting space or looking cluttered. 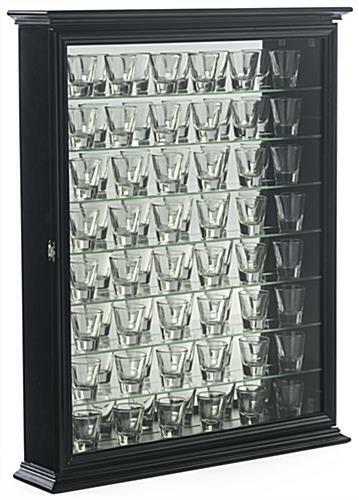 The case has a hinged door for easy access to your glasses. 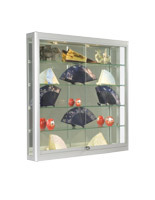 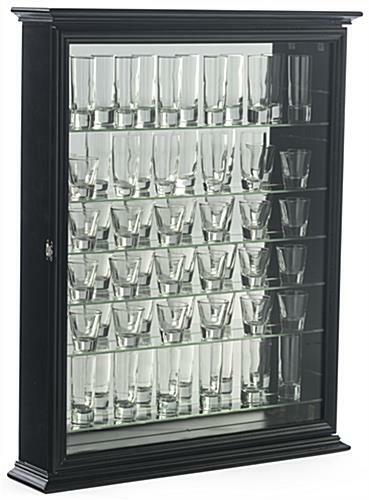 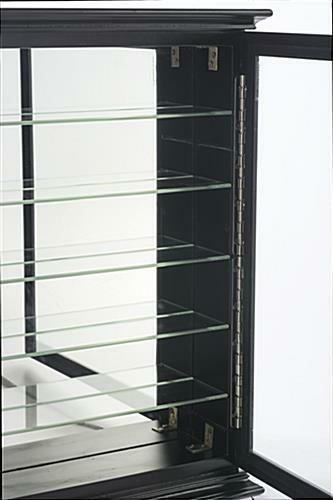 Order the multifunctional showcase for your bar, home or restaurant today! 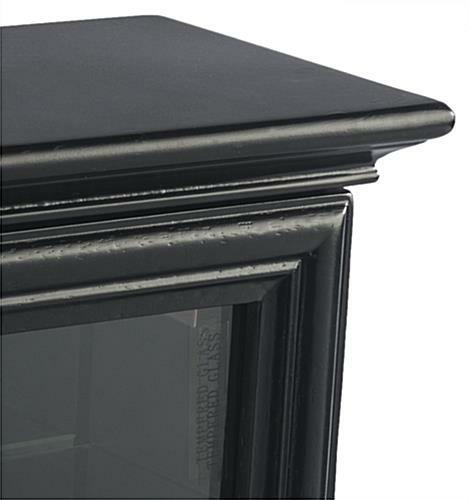 22.3" x 27.8" x 4.8"
19.5" x 24.8" x 2.8"